We’re proud to announce that PAINKILLER is an official selection of the prestigious NYC Horror Film Festival! The festival will take place from November 12 and 15, and we’re screening as part of Program 5 at 7:15 p.m. on Friday the 13th — right before Sean Cunningham receives a lifetime achievement award. This is a huge honor for us! To get the full schedule, please visit http://nychorrorfest.com/schedule/. Tickets are for sale online too. Many members of the cast and crew will be in attendance. We hope to see you there! 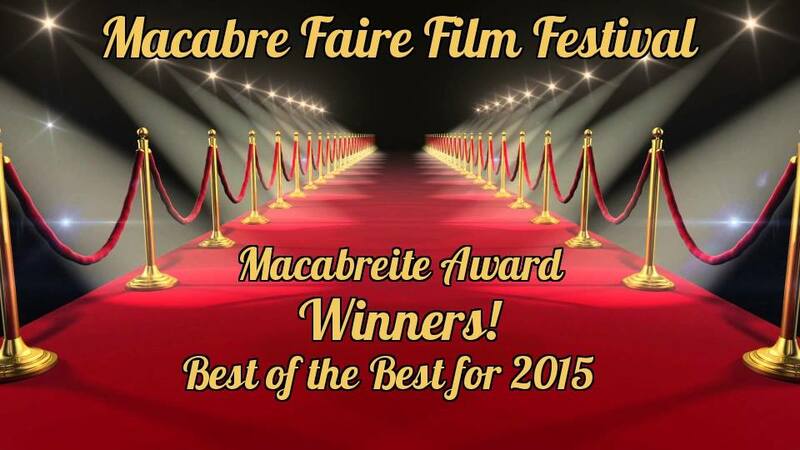 Jeremiah Kipp, PAINKILLER’s director, picked up an award at the first-ever Wreak Havoc Horror Film Festival for his work on this short. The festival ran October 9th and 10th at the historic Ansonia Theatre in Wadesboro, NC. PAINKILLER was one of the festival’s official selections — along with 30 other short films and 4 feature films that a panel of 12 judges carefully selected from 653 submissions. 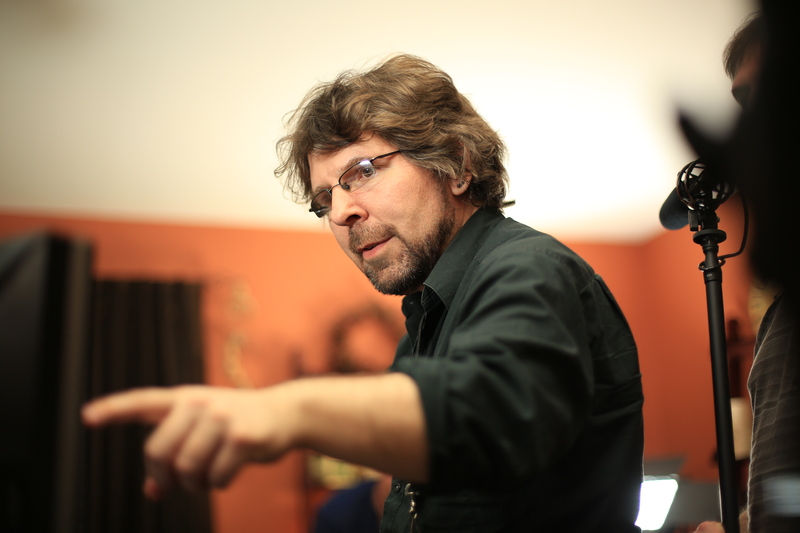 Jeremiah received the award for best director. A panel of 4 judges selected the award winners from a 100 point grading rubric. 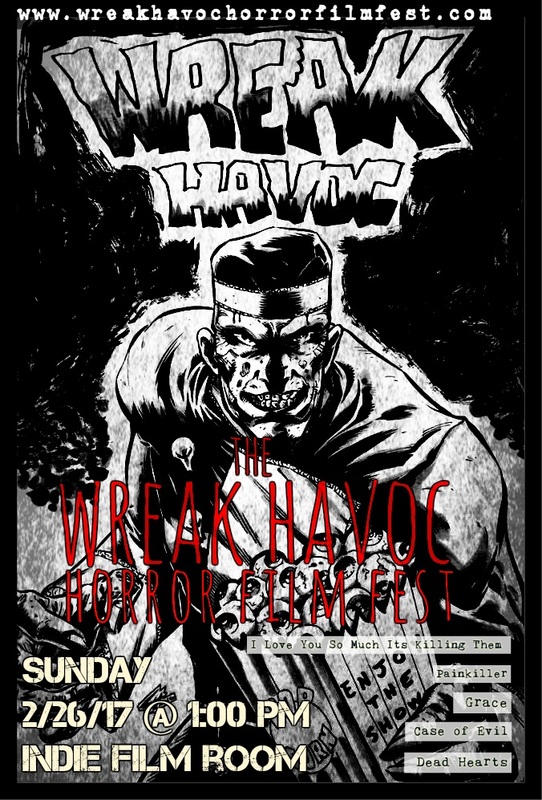 Wreak Havoc Horror Film Fest will hold its first-ever event on Friday, October 9, and Saturday, October 10, at the historic Ansonia Theatre in Wadesboro, NC — and PAINKILLER is on the program! The festival received more than 650 submissions, and PAINKILLER was one of the 35 selections to make the cut. That’s quite an honor for us! To get all the details about the event — including the screening schedule — please check out the festival’s Facebook page.